NuTone is America’s leading brand of residential built-in convenience products including, door chimes, central vacuum systems and smart home systems. Alpine Plywood supplies Wilsonart Laminate, Wilsonart Solid Surface, Wilsonart Sinks, Wilsonart Decorative Edges, BLUM Hardware, Element Design Aluminum Frame Doors & Inserts, Quality Hardwood Plywood, Veneer & other panel products to the Residential and Commercial Building Industries. Alpine is where the professionals go for the most cutting edge, innovative, quality products in the market. Artisans Brand of high quality decorative toilet seats. Over eighty images to choose from is themes from rustic to coastal. We also offer the latest in technology for the seats themselves. Whisper Close, no more slamming. Easy Clean, removable seat from bowl for complete cleaning and StaTite hardware, no more loosening of the seat from the bowl. 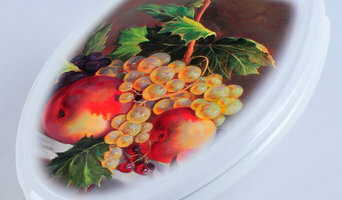 Exceptional quality with a very unique "textured" image, for the feel of hand painting without the high cost. Best Value Kitchen Cabinets, LLC, specializes in offering a full kitchen remodel, starting under $20,000. Our kitchen remodel includes: ◦High Quality all wood cabinets ◦Soft close cabinet doors and drawers ◦Granite Counter tops ◦Stainless steel under mount sink ◦Ceramic tile or luxury vinyl flooring ◦Interior design services ◦Free estimates, 3 d drawings, and consultation ◦All required permits and complete professional installation. From the initial estimate/consultation, to the completion of your project, you can rest assured, because you will be working with one of the three partners in our business. We have over 20 years of combined experience in the remodeling industry, and we provide the expertise and “Best Value” in products, service, and craftsmanship. 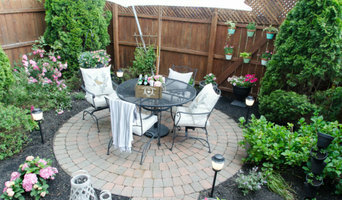 Please look at the gallery of our work, and let us know how we can get your project started. You can contact us at 262-257-9231 to set up a free consultation, or visit us in our Menomonee Falls WI showroom, to begin the process of developing your dream kitchen. 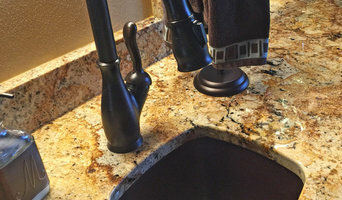 Brock Tops & Laminates provides residential and commercial countertops and laminate cabinets to South Eastern Wisconsin. We manufacture and install our own high quality products, made by craftsmen who care about the customer as well as staying on budget. We have been successful due to our no subcontractor philosophy and personal service. The person who measures your project and meets with you is also the builder and installer, nowhere else can you find this commitment to customer satisfaction. Our Daily Salt is a wonder of expertly handcrafted items for the home and kitchen. Nestled in Silver City just minutes from Milwaukee's downtown. Handmade furniture, wooden utensils, cutting boards, hand turned wood bowls and a selection of local artist's work as well. Our workshop is on site and visible while you shop. Our friendly staff are also the artisans that make everything. CheeseSlicing, LLC was founded in 2004 in beautiful Sheboygan, Wisconsin by owner/manager Lisa Tanck. Our guests are our number one priority, so we strive to obtain the best quality cheese slicers. We provide stylish, durable, outstanding products and they make exceptional ideas for your holiday gifts, birthdays, picnics or other special occasions. We are a fine hand-made wood kitchen products company. We make custom Walnut Island tops and cutting boards that are seen daily on FoodNetwork and The Cooking Channel. Premier manufacturer of wood stove top covers for Wolf, Viking, Thermadore and most other ranges. 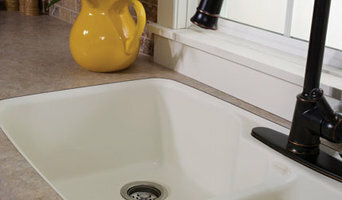 Kitchen and Bath counter tops, sinks, showers and shower receptors, accessories. Manufacturer of imaged wooden wall art and oak toilet seats. I am the Kohler representative for independant dealers in the LA and OC markets.